The amazing image above shows star trails in the emptiness of space, while cities and lightning storms create colorful patterns on the Earth below. This composite image was created by International Space Station Expedition 30 crew member Don Pettit on May 17, 2012. 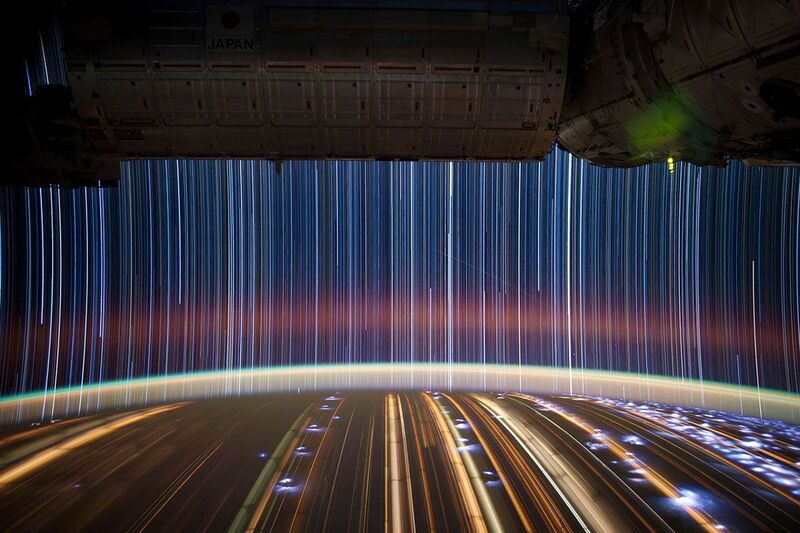 This is just one of the many remarkable images captured by astronauts high above the Earth. In this Newsweek gallery, we look at some of the best images ever taken in space, from the first moon landings to vertigo-inducing space walks and high-resolution images of deserts, glaciers and cities on our planet. In perhaps the most famous space image of all time, astronaut Edwin E. "Buzz" Aldrin, lunar module pilot, walks on the surface of the Moon near the leg of the Lunar Module "Eagle" during the Apollo 11 extravehicular activity on July 20, 1969. 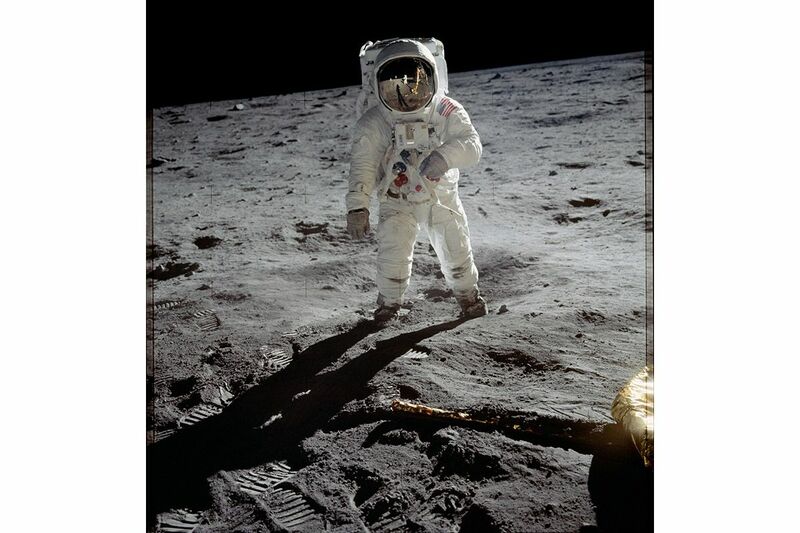 Astronaut Neil A. Armstrong, commander, took this photograph. 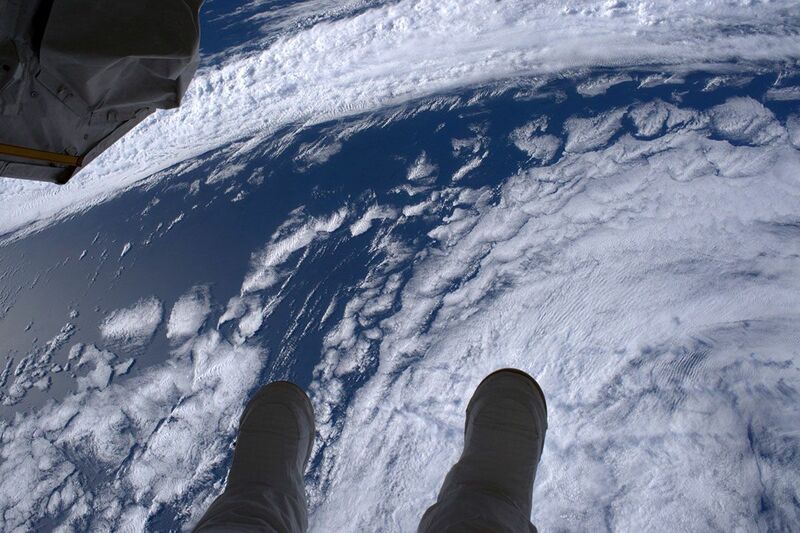 NASA astronaut Shane Kimbrough shared a photo of his feet dangling above the Earth after he ventured outside the International Space Station for a spacewalk on March 24, 2017. 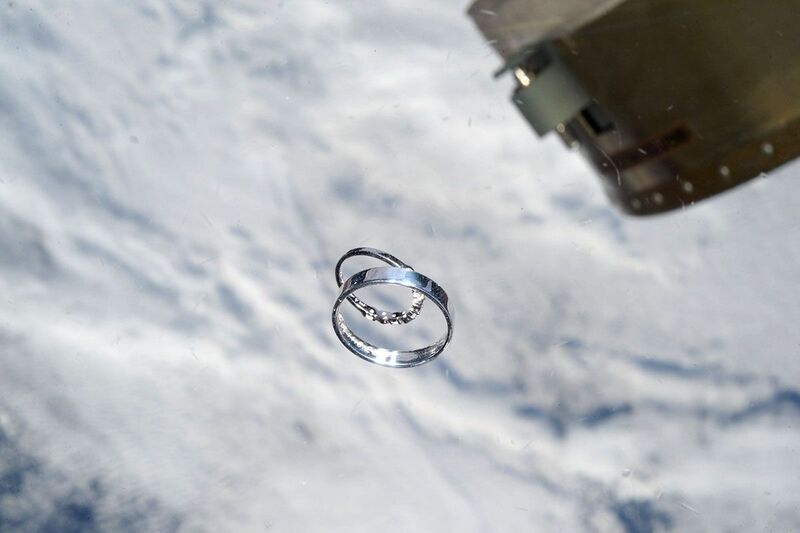 French astronaut Thomas Pesquet took this photo of a pair of wedding rings floating in zero-gravity. "In my 1.5 kg 'hand luggage,' I brought the wedding rings of my friends getting married this summer! I'll be back in time to be their witness," he tweeted on March 26, 2017. An astronaut flying aboard the International Space Station took this long lens photograph of an artificial island known as the Pearl-Qatar off the coast of Doha, on October 23, 2017. 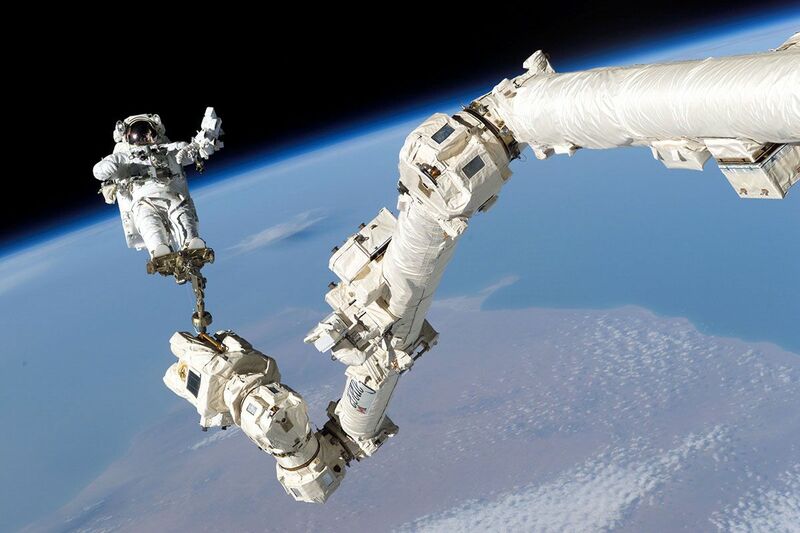 Astronaut Stephen Robinson rides Canadarm2, a robotic arm connected to the International Space Station, during space shuttle Discovery mission in August 2005. 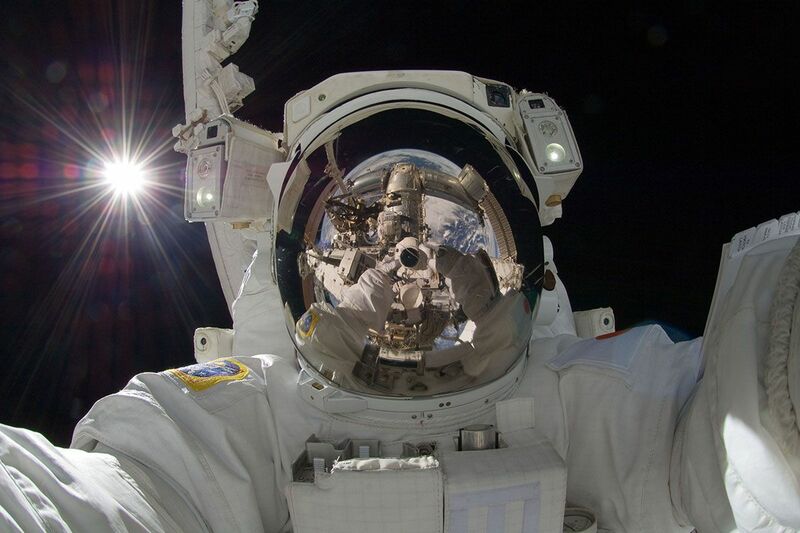 This space selfie was taken by Japanese astronaut Aki Hoshide during a space walk outside the International Space Station on September 5, 2012. On August 9, 2015, astronaut Kjell Lindgren captured the Milky Way and a lightning strike so bright that it lit up the space station’s solar panels. 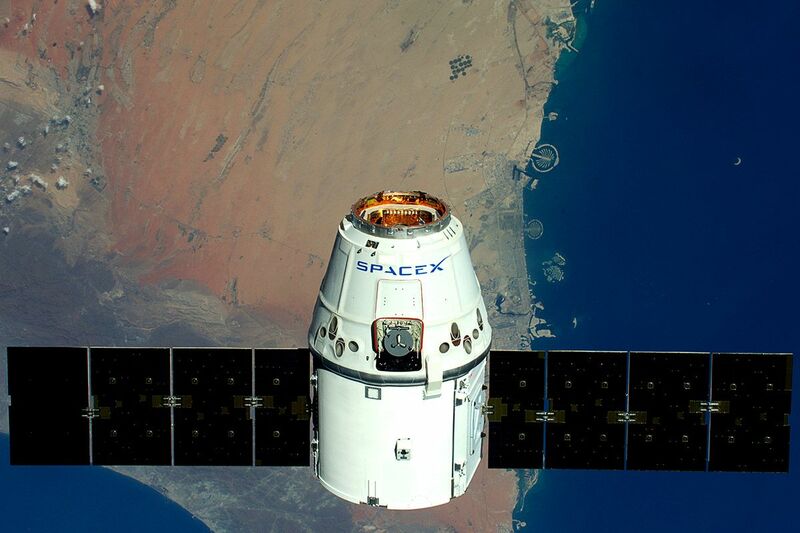 British astronaut Tim Peake photographed the SpaceX Dragon spacecraft passing over The Palms, a group of artificial islands in Dubai, on April 10, 2016. On Christmas Eve in 1968, Apollo 8 astronauts Frank Borman, Jim Lovell and William Anders broadcast pictures of the Earth and Moon as seen from their spacecraft. 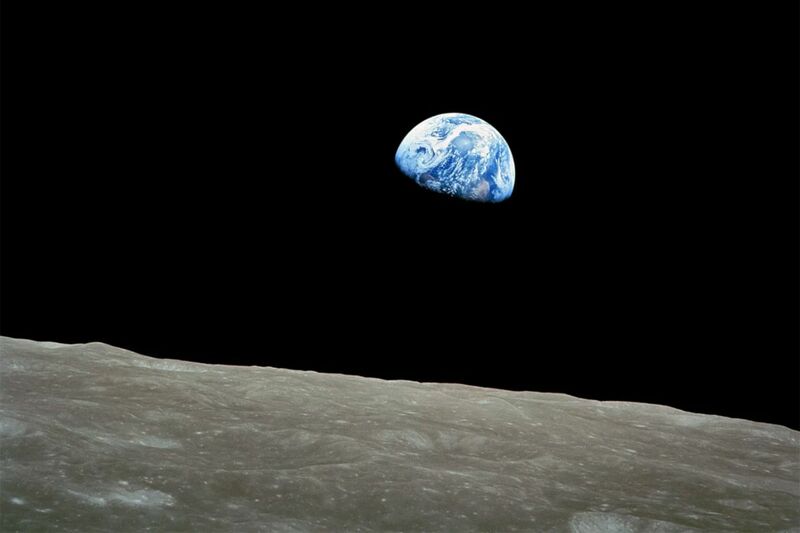 This image became known as Earthrise. Lovell said, "The vast loneliness is awe-inspiring and it makes you realize just what you have back there on Earth." They ended the broadcast with the crew taking turns reading from the book of Genesis. 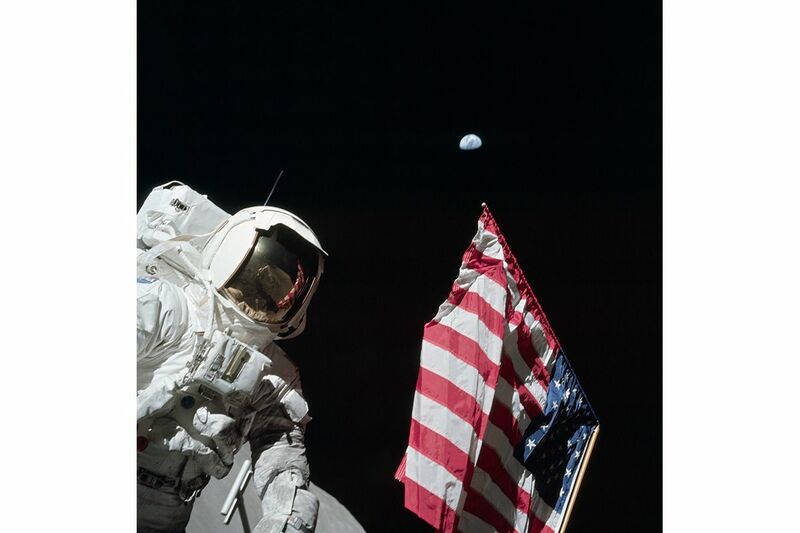 Apollo 17 crew member Eugene Cernan photographed Harrison Schmitt with the American flag and the Earth in the background on December 12, 1972, man's penultimate day on the moon. Cernan is visible in the reflection in Schmitt's helmet visor in the awkward position he assumed to obtain this image. 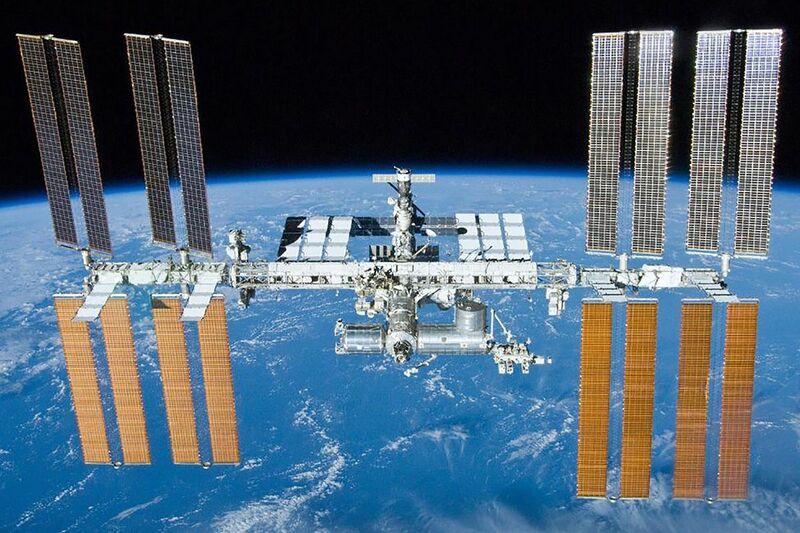 The International Space Station is seen high above the Earth in this image photographed by a crew member on board the Space Shuttle Atlantis after the station and shuttle began their post-undocking relative separation on May 23, 2010.